If you’re a business that issues credit-based debt of any kind to your customers (personal loans, credit cards, in-store credit cards, etc. ), then we here at E-Complish have a specialized service that may well be of interest to you (no pun intended). 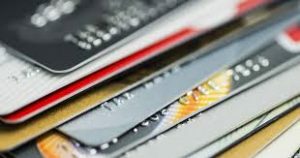 Our service involves the ability to block customers’ credit cards from being used to pay down debt, while simultaneously allowing the use of debit cards for that purpose. This service can save you large sums of money, and even help you bring in more revenues, all while protecting consumers at the same time. Attempting to pay a debt with a debt has become a no-no, as you may already know. Visa, the biggest credit and debit card issuer in the world, stopped allowing its credit cards to be used to pay down or pay off debts a while ago. Since Visa is in that flagship position in the credit card industry, banks and other lenders simply started following suit. A bank or lender in-the-know says no-no to credit cards. Why would Visa put the nix on allowing its credit cards to be used for paying down debts? It’s because that practice is no good for lenders or credit issuers, and no good for consumers either. Let’s say that you’re a lender of personal loans. When the time comes for one of your borrowers to pay a monthly payment against his loan, he whips out his credit card and submits the payment, and you accept it. For every $100 of payment he submits, your company has to pay between $2 and $3 in credit card processing fees. This means that for every $1,000 you’re getting paid by the borrower, you’re losing from $20 to $30 of that money just to pay the credit card fees. It goes without saying that you make money as a lender by collecting interest on your risked capital. A two percent to three percent cut out of that collected interest is huge. In contrast, when you accept a debit card (which is attached to a bank account) for making a loan payment, you pay something like $0.50 to $0.80 per transaction, regardless of how large the payment is. For credit card issuers like Visa, the stakes get even higher. You see, one of the biggest incentives that consumers have for trying to use a credit card is loyalty rewards. If a consumer is able to pay off a credit card or some other debt with a (different) credit card and earn rewards bonuses for it, watch card issuers start bleeding green (as in the color of money). When consumers can pay off debts with other debt (i.e. a credit card), every stakeholder business involved loses big time. But consumers would lose, too. By using a credit card to pay off a debt, even with a loyalty rewards incentive bonus a consumer would just be putting himself back into debt to get out of debt. Does that make any fiscal sense at all? Nobody wants to be in debt. Loans or lines of credit are sought out of necessity, not desire. Now on the other hand, accepting debit cards for loan payments is one of the smartest things that a lender can do. It’s by accepting debit cards against debt that lending institutions can increase their revenues while keeping their processing costs to a bare minimum. Research and experience have proven these things to be true. We’ve already mentioned how inexpensive it is to process a debit card payment, since it’s attached to a bank account. But allowing consumers the choice of using their debit card, in contrast to forcing them to use ACH, means fewer calls, and shorter calls, made to your call center. Consumers don’t feel as pressured to make calls to confirm that their payment was accepted, since debit card payments go through almost instantly. 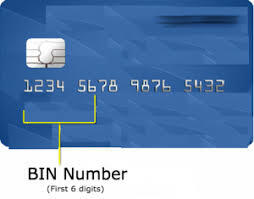 The process of accepting debit card payments is quick and streamlined compared to processing ACH payments, and consumers don’t have to wait around for up to several days with a hold placed on a card that they could be using more of (perhaps at your business) while it gets confirmed that the funds are there. No chargebacks, less payments processing, and less call center usage obviously means cost savings for your business. But faster, easier payments processing also means much happier customers. And what are happier customers? They’re more loyal customers who are more likely to do more business with you. Furthermore, research has proven that there are fewer late payments and fewer outstanding loans placed in collections when debit cards are allowed as a debt payment option. All of that means increased revenues for your business. So, the bottom line: if you’re receiving payments against debts outstanding, be certain that you’re blocking the credit cards but letting the debit card payments to flow.